At the inauguration of the National Conference on Internal Audit a handbook - Internal Auditor’s Role in relation to Internal Financial Controls Reporting in India was released. The book provides unique guidance for Internal Auditors in matters relating to training, control, self-assessment and project management, etc. The Conference focused on the use of technology to improve speed, quality and reporting systems of Internal Audit. Around 350 delegates from India, Asia, Middle East, Sri Lanka and other neighbouring countries participated in the conference. 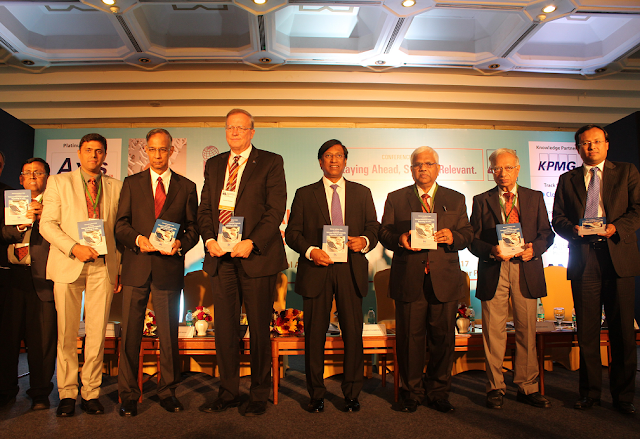 Mr. R Seshasayee, Chairman, Infosys (third from left), Mr. Richard Chambers, Global President & CEO (fourth from left) and , Mr. K. Vidyadharan, AII India President, are seen along with other members of the IIA. 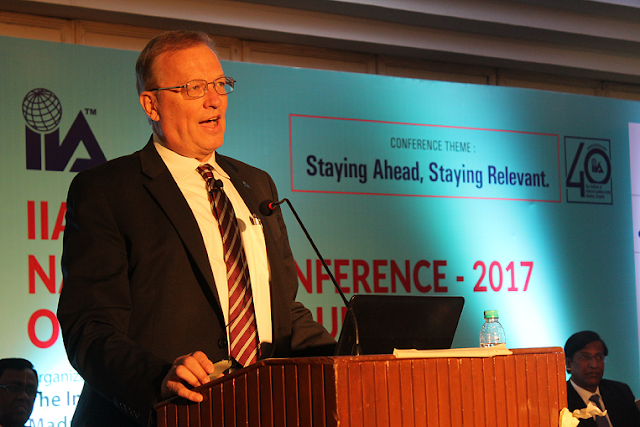 Mr. Richard Chambers, Global President and CEO, IIA, addressing the delegates at the National Conference on Inter Audit.